Stop cat scratching and discourage repeat destructive scratching behavior. 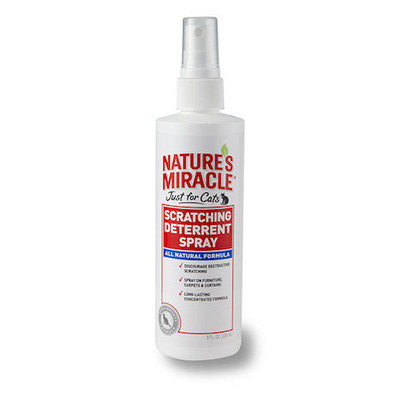 Nature's Miracle® Just for Cats Scratching Deterrent Spray helps to discourage your cat’s destructive scratching. Cats often scratch as another way to mark their territory due to glands in their paws that leave a scent behind. 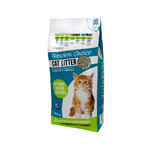 Our long-lasting, concentrated formula counters this scent and discourages repeat destructive scratching behavior. Nature’s Miracle Just for Cats Scratching Deterrent Spray is safe to use around pets and children and can be used on furniture, carpets, curtains, or other areas where your cat may scratch. Scratching is a natural cat behavior that helps to keep their nails trim and back, leg, and shoulder muscles in-shape. Cat paws also contain scent glands that leave behind scents that communicate with other cats. While these benefits of scratching are easy to understand, they are not so pleasant when the scratching post your cat chooses is your couch. To keep your cat from scratching in unwanted areas, follow the tips below. 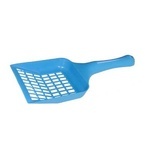 Place cat-approved scratching posts in areas of your home where your cat spends most of his time. If you have a multi-cat home, be sure to have multiple scratching posts. Providing a constructive place for your cat to scratch helps to keep them healthy and can keep them away from your furniture. Cat-favorite scratching surfaces include coarse rope, tree bark, carpet, and more. Test various surfaces with your cat to see what he likes best. 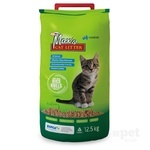 Encourage your cat to utilize a cat-approved scratching post as a kitten or young cat. 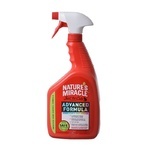 Spray Nature’s Miracle Scratching Deterrent Spray in areas that you do not want your cat to scratch; such as corners of sofas, coffee tables, and carpets. Always spot check for color-fastness and reapply often for best results. For persistent cats, try placing something sticky on the surface your cat wishes to scratch. Cat’s paws are extremely sensitive and your cat will immediately dislike touching anything sticky.